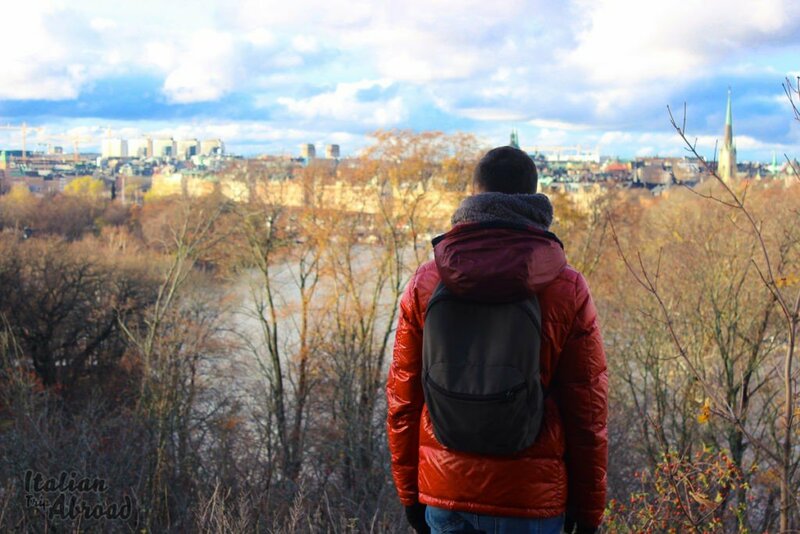 Home Destination	Your next accommodation in Stockholm, where to eat and night out. This is a simple guide to your next accommodation in Stockholm, places where to eat good swedish dishes and where to spend the night out. Stockholm is a nice European city, here you can find really everything. Bear in your mind to enter the mood of the “Fika”, the traditional aperitif or lunch in Sweden. Try out the Salmon and the traditional meatball. Stockholm is really a big city, even it’s city centre is not too big. It’s a metropolitan city on the modern European model and gets a lot of accommodation choices. The opportunity to get the best from it running from a classic flat though Air Bnb, a fancy Stockholm Hotel or an exclusive night on a boat. 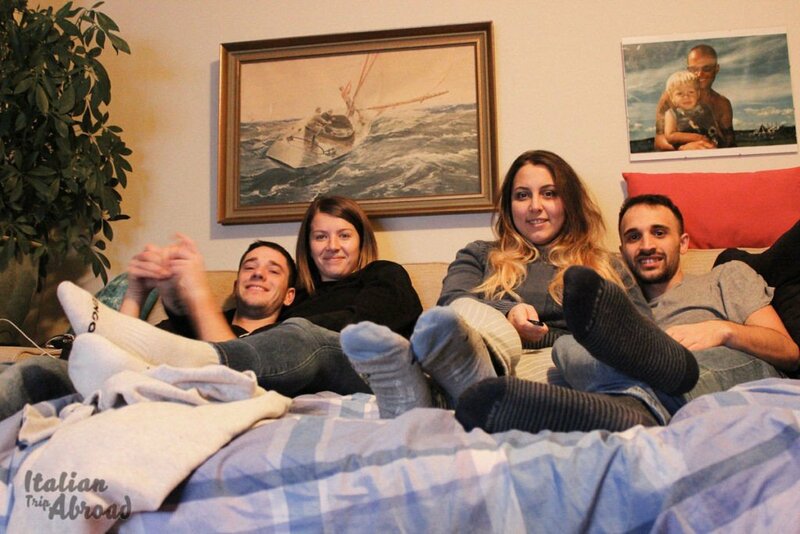 The cool alternative could be to stay in a Boat Hostel, there is a lot in the city, and it’s one of the best attraction. Can be a good solution, but stand on the hostel name is not cheap than you think. Always book in advance is our suggestion for your pockets. If you plan to stay in a hotel, this can be really expensive, more than other European City and more than one of the famous expensive city of the Old Continent, London. If you don’t think about the cost, we suggest to book your accommodation close to the city centre and get involved in the nightlife to the Scandinavian capital. You can stay near the Gamla Stan or at the Sergels Torg and Frottninggatan Areas. Our personal list of best hotels in Stockholm, this list is based on personal opinion on location, style, and amenities. First of all, we suggest you make a reservation ahead of time if you don’t want to be out of the restaurants, especially on the weekend. Like we said before, Stockholm is really a pricey city and prepare yourself to spend more than 12-15 £ just for a soup. The beer can cost to you around 8-10 euro for a pint. If you don’t want to spend so much on alcohol, you can go to a liquor shop, there are so many in the city (now you know why). You need to try two things in Stockholm, the first is the meatballs if you find of deer or reindeer is the best you can. I can suggest to try it at. 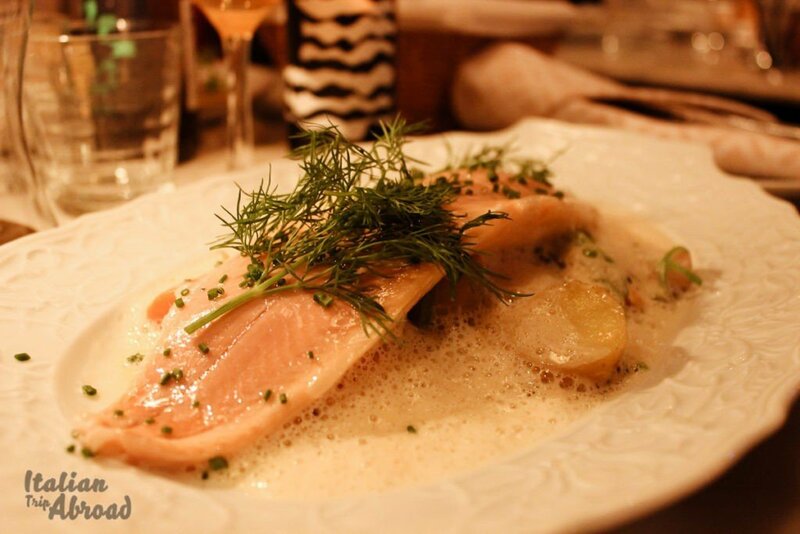 Also, you need to try the Salmon, the Swedish people know very well how to cook it. Was one of the best we never tried, even Alessia, doesn’t like it at all, but after all she fells in love. 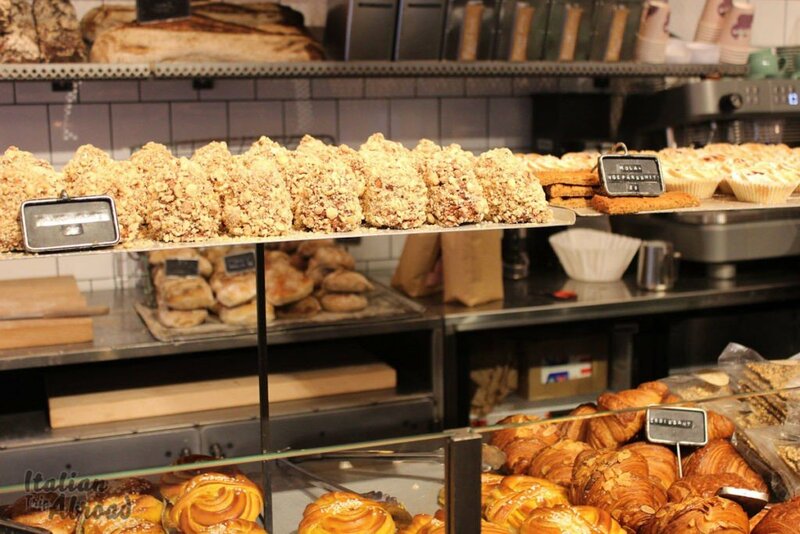 Wake up with the best breakfast and the awesome Swedish croissanterie, we have been at Snabbkop a fine bakery in Stockholm. It is a famous brand in the Swedish Capital and is easy to find one. Despite it is a big company, the taste is really awesome and all the pieces are handmade by the people are working in. The coffee is really good and they do also a fresh orange juice in front of you. The staff is really nice and the atmosphere is enjoyable. 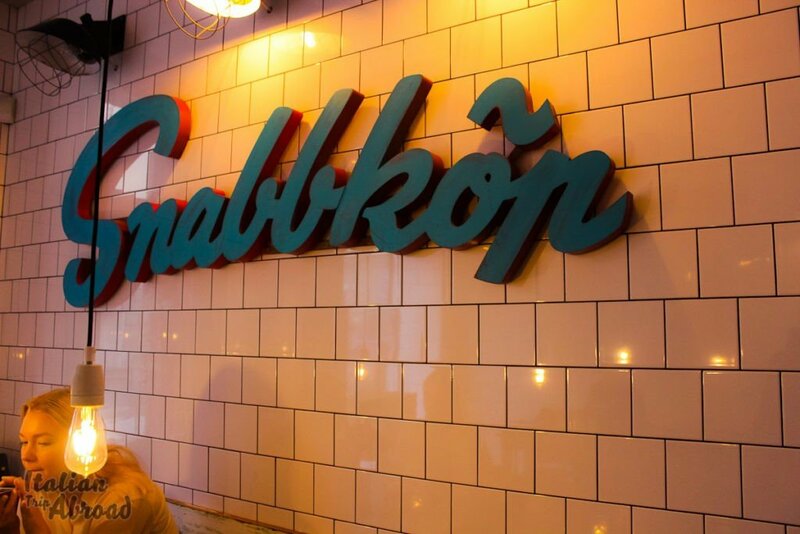 Our suggestion for your dinner is one of the best restaurant in the Sodermalm Area, a rich zone of Stockholm plenty of good restaurants and clubs, even a lot of place where drink just a beer. 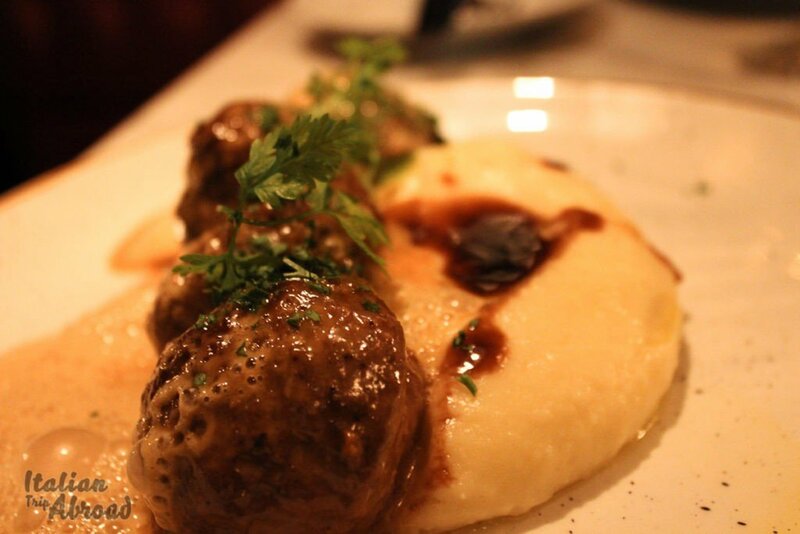 The “Meatball for People” is one of the best places we have been in Stockholm. Another suggestion could be the “Oaxen Krog & Slip”, it is one of the best in the city, also at the top of the Time Out list in Stockholm. This amazing restaurant has got a beautiful view. It is a bit pricey but the dishes are awesome and really tasty. Stockholm is one of the safest cities in Europe, and maybe in the World. Even you are affording a solo female travel, you can be safe, We hear a lot of friends went over there and didn’t worry at all to be alone. Stockholm is a nice place to stay with friends and organize some night out. We have been here with another couple, and we enjoyed a lot the way the city welcomed the tourists, even for a short break. Like we have told you several times, this city is not for on budget traveller. Even you can find some good offer for a pint for 5 euro. We bought some beer along the streets and drink it in the city centre during our visit. Most all the clubs are free to enter, so you can plan a night out without any expenses. Check in the city centre there are a lot of leaflets with the address and the nightclub almost every day. Ask the local some suggestion, for sure they are updated about the new night on.